I’m in Paris and the summer weather is gorgeous. In this and my next few posts, I’ll be sharing a few of the beauty stops you shouldn’t miss when you’re in the city. 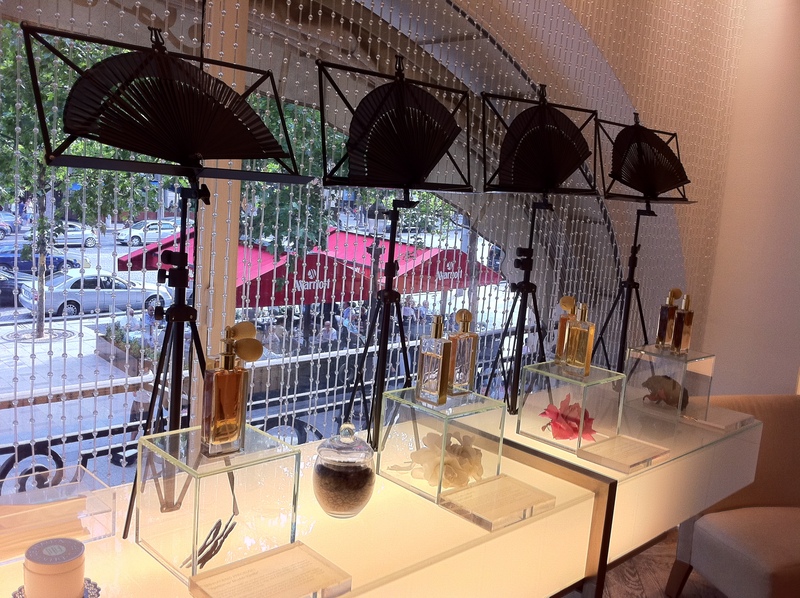 First up, the La Maison Guerlain Boutique on the avenue des Champs-Elysees. 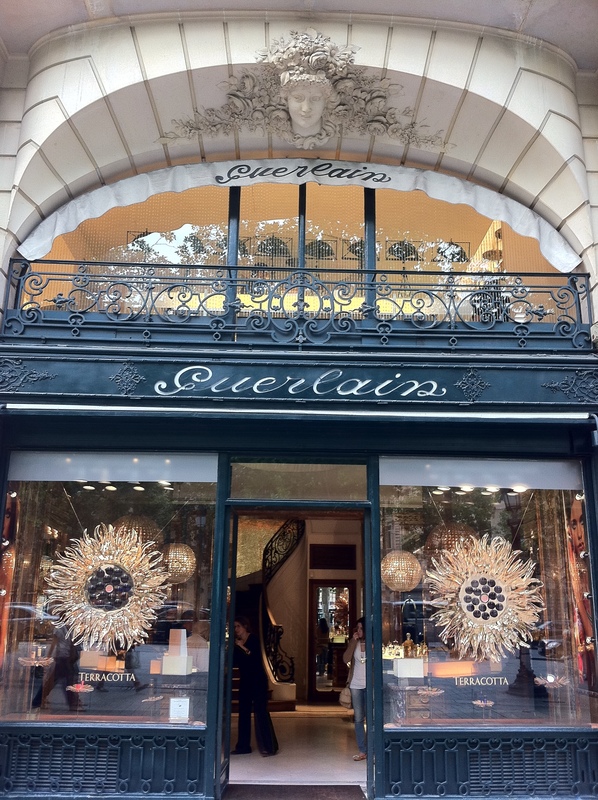 Few perfume houses have as much history as Guerlain. Founded in 1828, the French establishment is literally fit for royalty. 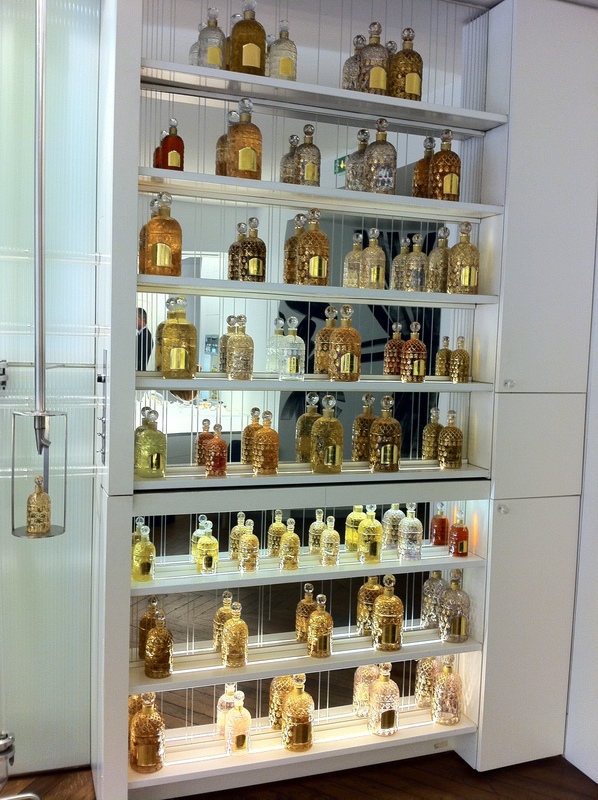 The house concocted perfumes for Napoleon and his wife, amongst other royalties. 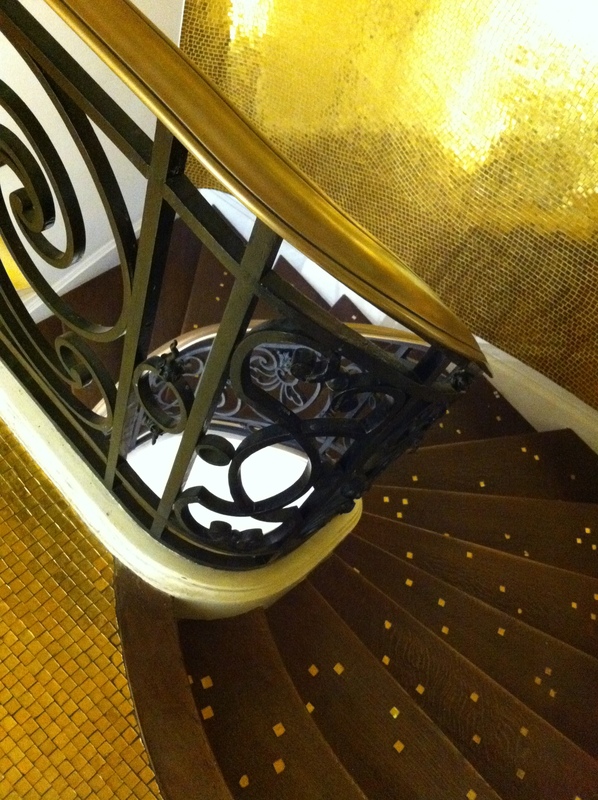 Here’s a peak at the gilded flagship on the Champs-Elysees. And you’re greeted by an elaborate chandelier encircled by the classics like Shalimar and Jicky. 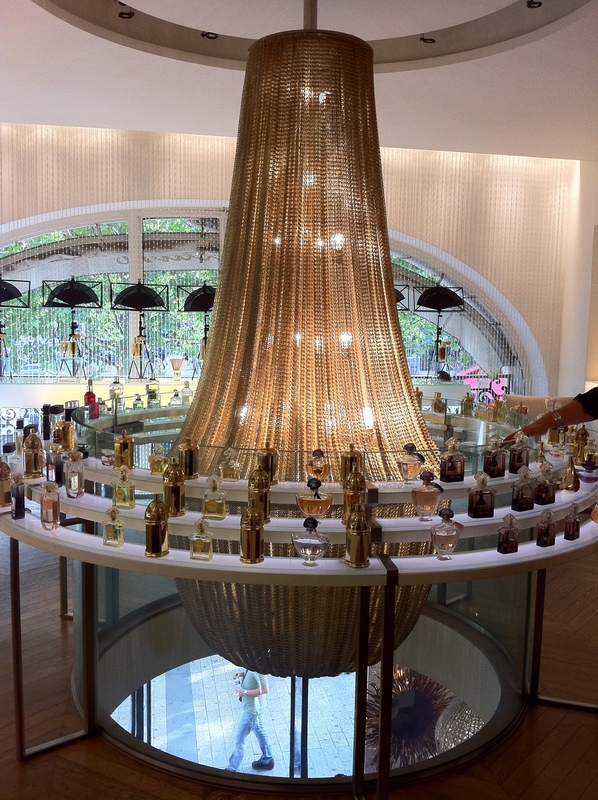 Here, expensive perfumes are even sold by the litres, all stored in faceted and embellished glass bottles. I decided to get a Paris-exclusive scent. Here’s how you choose: spray the scent on those black paper fans and fan it in front of your nose. The act of selecting perfumes can’t get any more elegant than that. 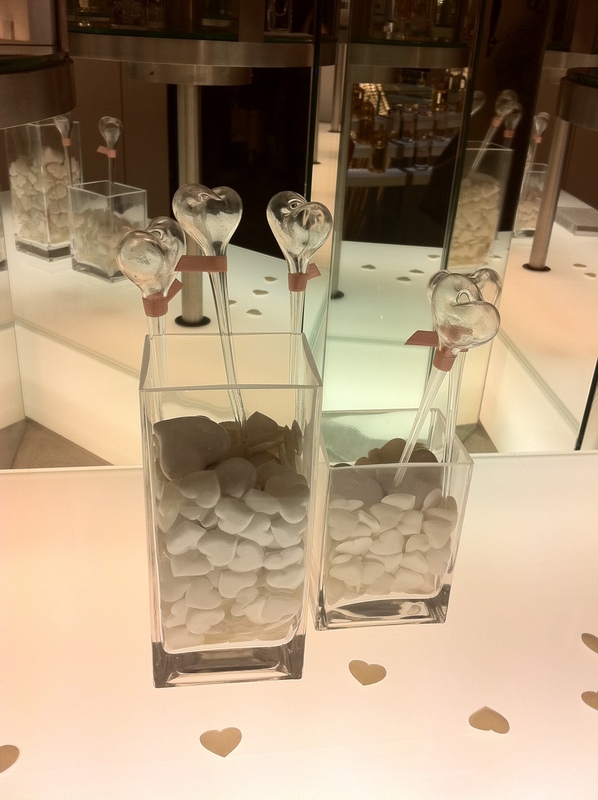 Or you spray them into these heart-shaped glass wands, and sniff. But when buying perfumes, it’s best to spray it on your skin so you know how it smells like on you. 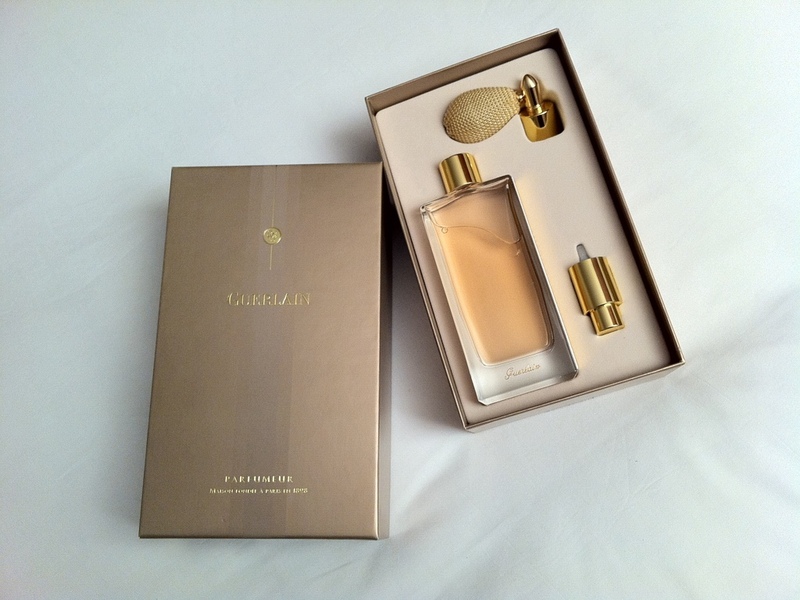 I bought the Cruel Gardenia, a flowery, powdery and musky scent for EU175 (for 75ml). The nice sales lady gave me a sample of the La Petite Robe Noire, which has notes of black cherry, rose, patchouli and smoked tea. I’ve been to this store, it is breathtaking! love the photos!